Garage and roller doors are integral parts of any building or structure for the security purpose as well as adding value to it. If you are looking for a functional and secure door solution, then Cheltenham Roller Doors will meet all your expectations. We supply and install the highest quality garage doors, commercial & industrial motorized roller doors & shutters across Cheltenham & Gloucestershire. As part of a complete service we offer a comprehensive garage door repair service, so you don’t have to wander around for various jobs as you get all services under one roof. We stock a wide range of Roller Doors and Garage Doors from the leading manufacturers available in astonishing colours, designs and styles suiting your every requirement and budget. Cheltenham Roller Doors is an established business that sells garage doors in Gloucestershire, Cirencester, and Tewkesbury as well as supplying the whole of the Cheltenham area. There is a wide range of electric garage doors Gloucester as well as the roller garage doors supplied in Cheltenham. Having a good secure of garage doors ensures the safety of your premises and can add value to both homes and businesses. 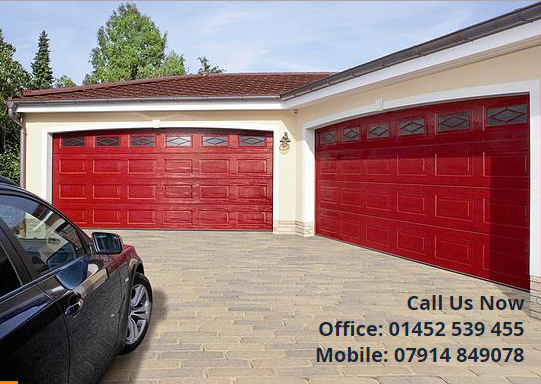 Garage doors Gloucestershire is one of the main businesses in this field. The supply and installation of roller garage doors in Cheltenham is just one of the services on offer from Cheltenham Roller Doors. Another excellent service is garage door repairs for Tewksbury and the surrounding area. Cheltenham Roller Doors has dedicated staff who have built a reputable company that supplies any kind of garage doors Cheltenham needs. As well as services in their hometown of Cheltenham the company is able to offer garage doors in Cirencester and electric garage doors. In addition, CRD is a major firm servicing electric garage door repairs in the Gloucester area. If you want a reputable and reliable local company for garage door repairs Tewksbury you will be able to rely on Cheltenham Roller Doors. Cheltenham Roller Doors can repair existing garage doors Cotswolds and Cirencester or can provide replacement doors at very competitive prices. Garage door repairs for Tewksbury are also available from CRD and the professionals at the company can advise about security using a new automated door. All kinds of garage door repairs are available from CRD including those to sectional doors, timber doors and roller doors in Cotswolds. Aluminum roller garage doors Cheltenham can be supplied and installed at excellent prices and with top customer care. Only the best quality garage doors Cheltenham are supplied and fitted by Cheltenham Roller Doors. A guarantee is supplied with every project that is completed by the top company for garage doors Gloucester. There is no call out charges and a 24-hour emergency service is in operation. For more information about garage doors Cheltenham or garage door repairs for Cotswolds, Tewksbury, Cirencester, and Gloucestershire. Based in Cheltenham and Gloucester, we are well-established company covering Gloucestershire and South-West region of England. Highly experienced, we have built up a strong reputation in the door industry and many of our clients rely on us to have their domestic garage, shop front, and business doors. We are dedicated to providing responsive, fast and effective service helping you keep your home or business secure. Primarily serving domestic customers, we have diversified range of satisfied clients from residential, commercial, retail & industrial sectors that indicate our company success and strong position. We are proud to have a dedicated team of professionals who offer personal service and impartial advice to get you only the best. With our on-time, no-fuss service, you will find us punctual and diligent. We work with your schedule and keep you up-to-date on every stage of your project and once completed we'll clean up and leave the area in immaculate condition. We are working for many years been trusted by the local community to supply, service, repair and install all types of roller doors, garage doors, custom made and automatic gates. We are known for prompt delivery and bespoke installation by our experienced technicians.